I mean, who can summon a dragon? OK, I removed it. There was no gold dragon (as already mentioned by Ego). I took the remains of Ego and Tiny and went shopping in Caergoth. Finally was able to afford the fine black robe I always wanted to have! That's right. I'm back. Better hide your supermodels, cupcakes, and bacon! Server is up. Login if you're cool. ATM, all staff-members are pretty busy with RL-things. I'll try to be on during the weekends (arround 10.30-11.00 PM CET/MEZ), but even that is unsure. Regarding the update of the TOP-Hak: I got involved in a possible IMO great addition and I (what a surprise) would like to add that, too. That should be the last thing, though. So: All is still the same. Enjoy exploring the server. We lost power after a storm dearies! I will let Evenstar know, and I'm sure we'll be right up! Will the server be up today (sunday)? ... Server still not up... will try to find out (since I'm not doing/am able to do the hosting). Hosting is a bit of a problem atm., I'm afraid. Nice to see the one or the other logging in once in a while. OK, I had some changes with my ISP and it seems, that I'm finally able to host! I have a testmod up: No HAKs, just to see, that it's working. If you are not using nwncx to connect to a MP-game (see below), check these two sites, which will display the IP. 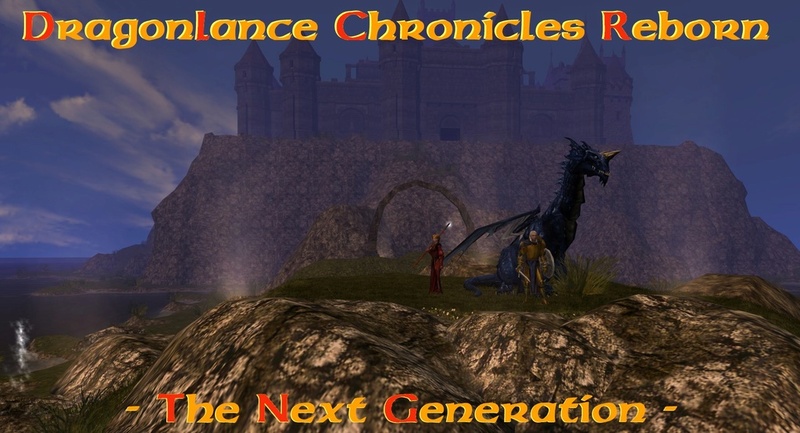 ATM, the server is called "Dragonlance-Relaunch"
"Sadly" it's a non-static (external) IP, so keep track and copy/paste/write it down -> direct connect. I'm using NWNcx to launch NWN. It's a kind of Gamespy replacement. Here, this server is listed, too. So. PLEASE try to make a login (again: NO HAKS! ), so I know, tha you "can see me"! My ISP (after 3 years!) decided to change the IP address of my router.